okay, i waited a whole 15 days into september before sharing the the first pumpkin spice recipe! now there is no going back. i first fell in love with pumpkin scones at starbucks. the pumpkin spice, the sweet glaze.. who doesn't love a good scone? since i have started making my own pumpkin spice scones, i have started incorporating other flavours into the mix. from the matcha pumpkin spice latte, to the matcha pumpkin cupcakes & the matcha pumpkin pie overnight oats i think it is safe to say matcha & pumpkin taste amazing together! 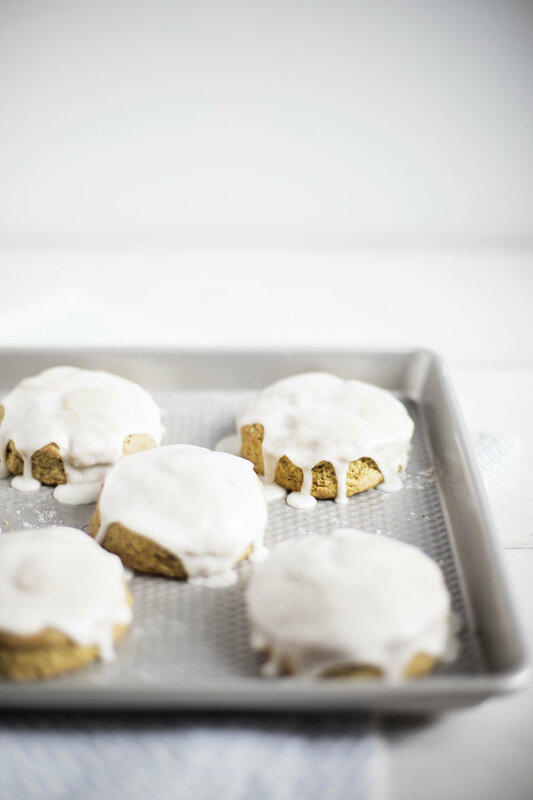 so this year i bring you these glazed matcha pumpkin scones! 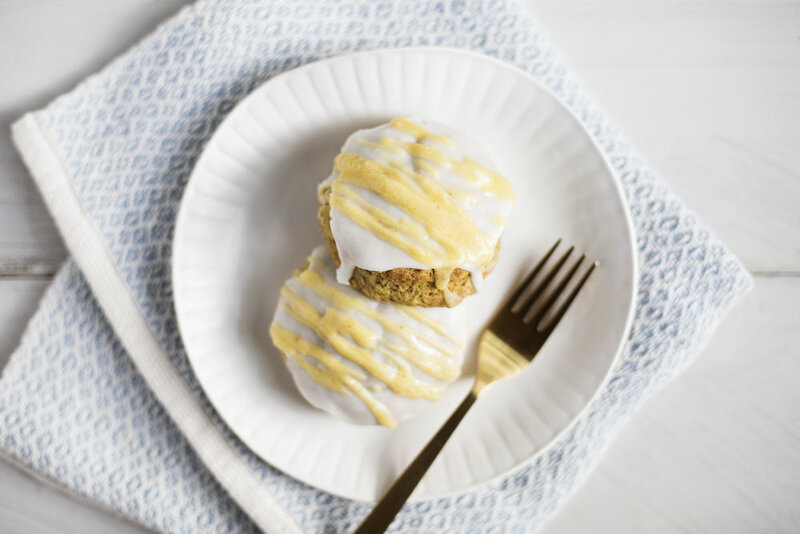 scone lovers, you will love this recipe. they are perfectly sweet, without being too sweet & are so flaky as they are made with all butter. justin brought the leftovers into his work & people couldn't stop talking about them. the aiya matcha cooking grade matcha allows for the perfect hint of matcha flavour, without getting lost amongst the other flavours. happy PUMPKIN SPICE baking season!!!!! preheat oven to 375 degrees. in a large mixing bowl add flour, brown sugar, matcha powder, cinnamon, ginger, nutmeg, baking powder, baking soda & salt. stir until well combined. add the cubed butter & work into the flour mixture until a pea sized crumb mixture is formed. in a separate mixing bowl add the pumpkin puree, cream, egg & vanilla. whisk until smooth. add the wet ingredients to the dry ingredients & stir until the dough comes together. roll out onto a floured surface & cut into desired shapes. bake until puffed & golden, about 12-15 minutes. let cool while you make the glazes. add all ingredients into a mixing bowl & whisk until a smooth glaze forms. if glaze appears runny, add a touch more sugar. if glaze appears thick, add a touch more milk. set aside until ready to use. add all ingredients into a mixing bowl & whisk until a smooth glaze forms. if glaze appears runny, add a touch more sugar. if glaze appears thick, add a touch more milk. once the scones have cooled, begin with a thick coating of the vanilla glaze. let set. finish by drizzling the pumpkin glaze.